Welcome, welcome 'o weary traveler... from where do you cometh? 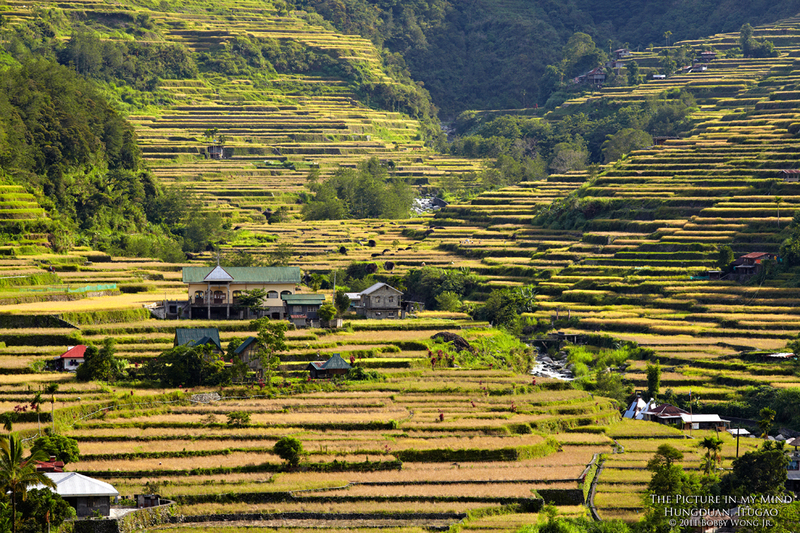 Are you seeking new lands to conquer, perhaps planning a visit to the Philippines? Or are you simply feeling home-sick and hungry for photographs of home? Whatever, feel free to look or share. An adventure awaits. I try to post new images weekly from my travels across this beautiful land. If you like what you see, please leave a comment or two. Or write me a note, I'd love to hear from where you cometh. Enjoy. Bobby (bobbyw59@yahoo.com) Join this group to receive new postcards weekly or become a fan of my Facebook page. Have you ever seen something truly unforgettable? At about the same time five years ago, I visited the Ifugao province for the very first time. That trip was too short and the stop to see the Hungduan terraces even shorter. It was raining hard that afternoon, but that one glimpse of the valley left an indelible question in my mind. How would the valley look with the sun out at harvest-time? I had never forgotten that question since. Now five years hence I've returned to Hungduan, to climb its slopes and photograph that terraced valley. Heck we even spent the night along the banks of that raging Chico river in the picture, just so we can wake-up with the sun-lit fields around us. I've come full circle and loved it. And all because I saw something unforgettable. Enjoy. Where in the world is Hungduan in Ifugao?